Wilson Fishing has taken the popular Zerek Barra X and given it a serious upgrade, creating the Zerek Barra X Pro series. This series has been built with extra strength in mind, as the target species include mulloway, barra and Murray cod. The Zerek Barra X Pro also has a magnetic cast system that gives the lure incredible casting distance and accuracy as well as unique underwater sonics when retrieved. 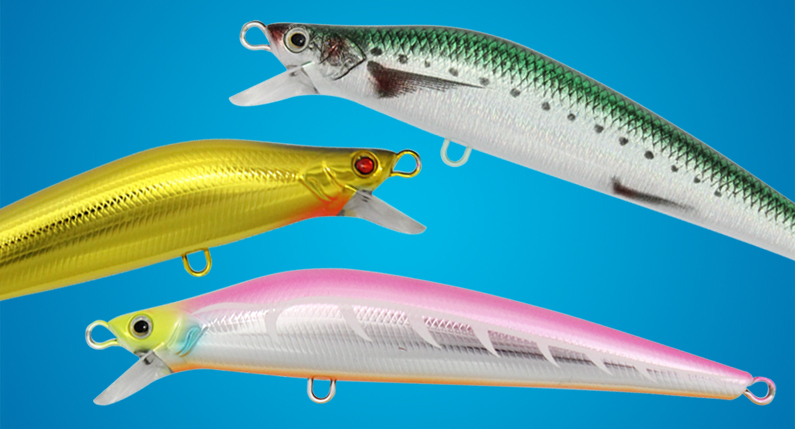 This floating lure is available in 100mm, 120mm and 180mm lengths. It’s designed with a square bib that creates a unique swimming action that screams ‘eat me!’ to fish, and it’s fitted with terminal tackle that will never let you down. Retrieved with a slow wind or a jerking, twitchy retrieve, the Zerek Barra X Pro in all sizes dives between 0.8m and 1.2m, putting it squarely into the frame for snag bashing Murray cod and barra or taking advantage of floodwaters at river mouths or headlands for mulloway. It comes in 10 specifically developed colours that include some amazing natural patterns, holographic patterns and attractor patterns.